CannonDesign is pleased to announce that the hiring of Bob Donahue, MBA, ACHE, a seasoned healthcare professional with over 28 years’ experience in executive operations for both Unity Health and Rochester Regional Health systems in Rochester, NY. Additionally, as Vice President of the Pike Company, a general contractor, he also has experience overseeing strategic planning, business development and opportunity tracking. Bob has overseen over $750 million in construction during his career and his client-facing perspective will provide unique solutions in strategic planning, healthcare programming, patient outcomes, scope and project management. In addition to his construction experience, he is also well-versed in supply chain logistics and hospital operations. He previously oversaw a $250 million hospital operations budget that included facilities and engineering, real estate, support services, surgical services, pharmacy and dialysis centers. 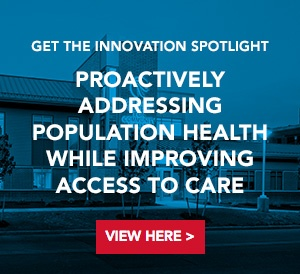 Bob is a national writer and speaker on topics such as successful multi-million-dollar hospital renovations and expansions, system-wide logistics and operations, as well as the implementation of cost-reduction strategies. He is also an active member in his community as a Cobras FC Soccer Club board president and coach, a volunteer classroom instructor at the Rochester City School District Revitalization for Minority-Owned Companies program.